Voice over Internet Protocol (VoIP) is becoming a viable communication option for many retailers thanks to the many advantages that it can offer over traditional telephone systems and its simple implementation. Here is a closer look at three ways in which VoIP can benefit retailers and other types of businesses. 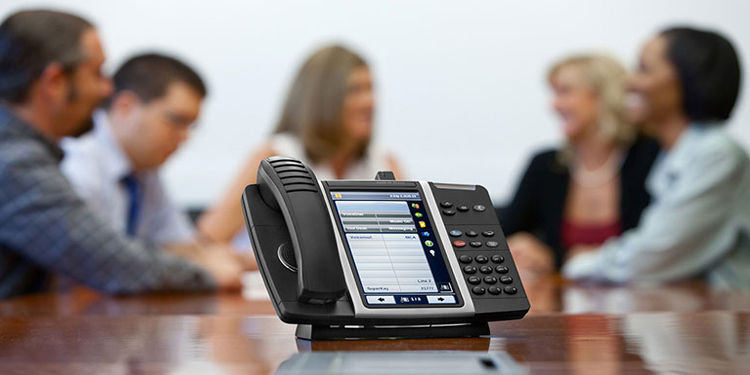 In addition to the features generally offered by landlines, VoIP offers additional features such as video conferencing, SMS/texting, and faxing via email. With regular phone networks, a business is tied to a specific location. With VoIP, on the other hand, workers can communicate wherever they happen to be. Retailers can have virtual telephone numbers as well, which means you could have a telephone number with a different area code than your physical location. Say you operate in Shropshire but also want a number with a London area code; VoIP makes this possible. All calls can be streamed from one network, as opposed to the traditional phone system where a business usually needs several different connections. Using VoIP, retailers and their employees can send and receive faxes and voice messages via email. This may also help to increase productivity because employees can fax, phone and conference call without even having to leave their desks. VoIP is cost-effective as it drastically reduces the expenses associated with international calls for retailers. Calls between business outlets are usually free regardless of the number of outlets. Retailers can make PC-to-PC phone calls for free from anywhere in the world, and they will be able to access cheaper call packages for specific geographic regions. The cheaper cost of wholesale voice termination https://www.idtexpress.com/ is part of the reason VoIP is such an affordable option for retailers. In addition, the taxes associated with VoIP calls are usually much less than those of a traditional phone service. When switching to VoIP communication, a business may continue to use its current business numbers through number porting. Therefore, retailers do not have to worry about the possibility of losing business contacts or clients being unable to reach them. As you can see, VoIP’s popularity is well-earned given its many benefits and ease of implementation. It’s an excellent option when a business wants to cut costs but maintain good communications. The Butler did it, obviously.